Why Were Mueller’s Questions for Trump Leaked? 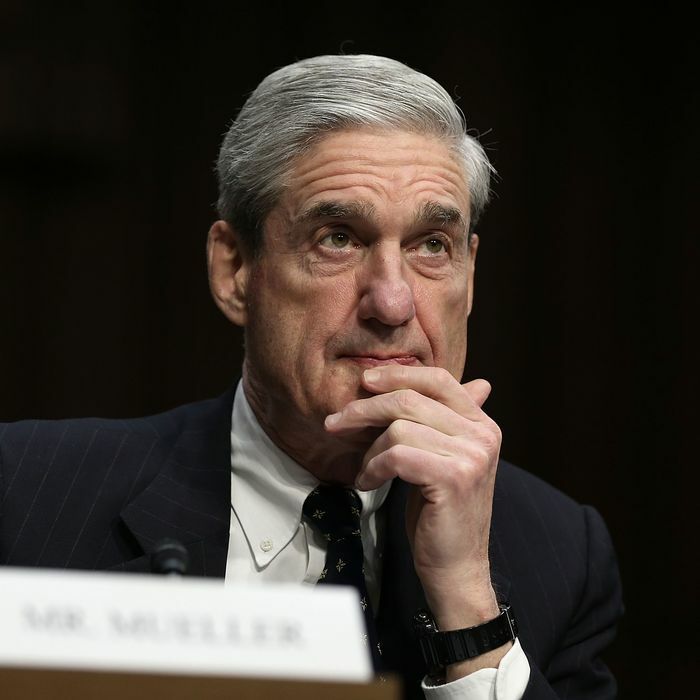 For months President Trump’s legal team has been battling with Special Counsel Robert Mueller over whether the president will sit for an interview, and under what conditions the chat might occur. Now the New York Times has published a list of the four dozen or so questions Mueller would like Trump to answer. The questions mostly cover topics Mueller is already known to be investigating, such as Trump’s reasons for firing FBI director James Comey, why he publicly attacked Attorney General Jeff Sessions, and what he knew about Don Jr.’s meeting with Russians in Trump Tower. While they provide insight into the special counsel’s case, there’s only one truly surprising question: “What knowledge did you have of any outreach by your campaign, including by Paul Manafort, to Russia about potential assistance to the campaign?” So far there have been no public reports about Trump’s former campaign manager asking Russia for help. Times reporter Michael Schmidt elaborated on MSNBC, seeming to confirm that the document came from Trump’s side (which makes sense because Mueller’s team has not been known to leak). Still, why would someone close to Trump’s legal team want to release a road map of the president’s potential missteps? Here are the leading theories. Trump has said publicly that he’s “looking forward” to talking with Mueller, and he’s reportedly said in private that he’s “champing at the bit” to sit for the interview. Trump seems to think the special counsel’s probe will come to a speedy end if he’s given the opportunity to explain himself, but no sane lawyer would agree. This almost certainly comes from team Trump--current or past members. Why would they leak? Pure speculation but I think they need help in persuading Trump NOT to talk to Mueller, and are counting on the outcry. They may be afraid to oppose on own since Trump wants 2talk. But there’s a piece that doesn’t fit. The Times reported earlier this month that Trump’s lawyers were drafting a proposal that would have allowed him to be interviewed, but then the raid on Trump fixer Michael Cohen “damaged” trust with the special counsel’s office. CNN said the raid made Trump’s team reevaluate whether he should do the interview. If Trump was already leaning against cooperating with Mueller, why launch a risky public campaign to argue that point? just talked to Giuliani who said his role on Trump team is limited. He worked with Mueller at DOJ & as NYC Mayor (Mueller at FBI) He hopes knowing Mueller can help bring the investigation to conclusion, saying it "needs a little push." How soon? "maybe a couple of weeks"
If that’s the idea, it’s already worked on Sean Hannity. After declaring on Monday night’s broadcast that “I am told by my sources tonight that the New York Times is full of crap,” he suggested Mueller was the source of the leak (despite what the Times article says), and argued that federal prosecutors have no business questioning the president’s intent. “How stupid is it? They want to get in the president’s mind? Did you ever think of firing Mueller? When he never fired Mueller, and he has every right to fire Mueller, constitutionally,” Hannity fumed. That other topic Hannity was bemoaning in a fact-free fashion brings us to a third theory: perhaps Mueller’s questions were leaked in order to put pressure on Republican lawmakers to shut down the special counsel’s probe, before it’s too late. Of course, it’s possible Mueller’s questions were leaked to accomplish multiple goals. Maybe the plan was to make Hannity even angrier than usual, and let him convince Trump, his House allies, and other Fox News viewers that Mueller can’t be allowed to ask the president to explain himself.